Not too long ago, Krystle from Squishy-Ink contacted me to ask if I would be interested in helping out with her upcoming Kickstarter project. 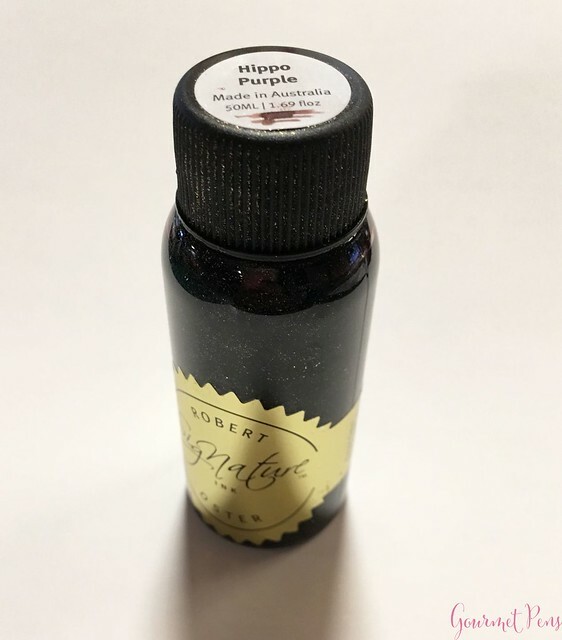 The Kickstarter is called Hippo Noto (a Hippo-sized Tomoe River notebook), with an accompanying custom-color: Robert Oster's Hippo Purple. The project had a background story that was so sweet, and the goodies were so delectable, I couldn't say no! 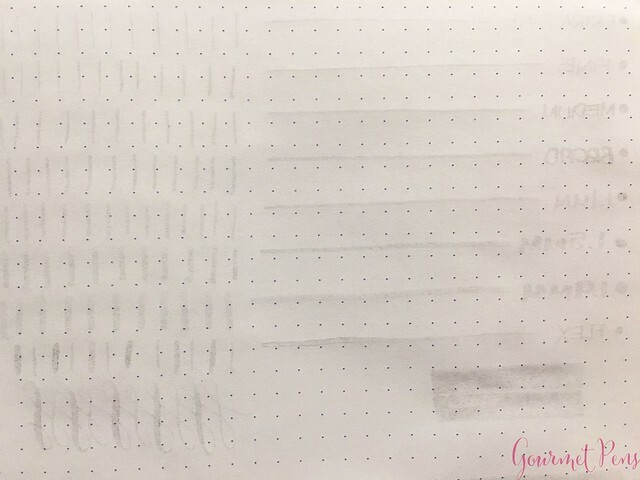 Also I'm sort of an ink harlot... 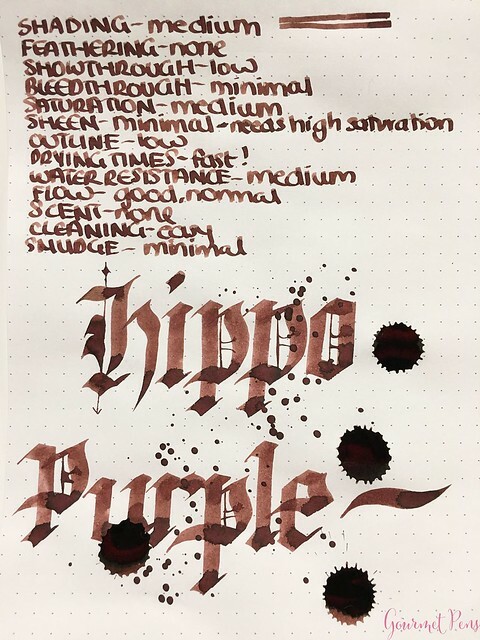 Here's a review of the rather unique Hippo Purple! 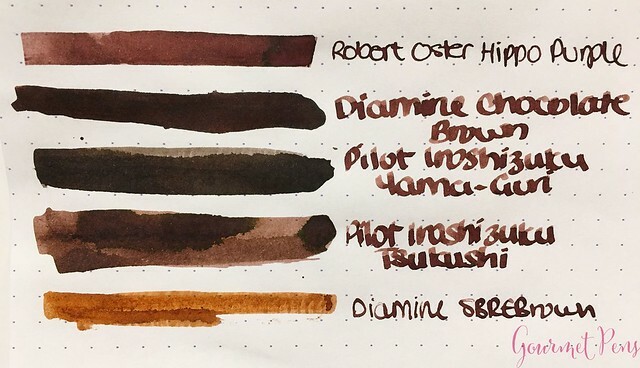 Shades really well, from a lighter dusky pink to a medium brown, with some dark sheen. A really nice project to support! Decent price, for a quality ink to boot! An unusual, fun color with a great name. Hippo purple!! Label on top has ink name and a swab of the color - makes finding the ink easy when they're all upright in a drawer. 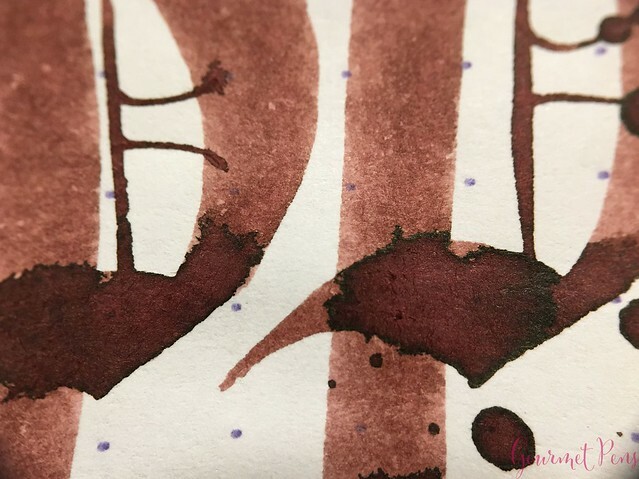 A very special color: brown, purple, mahogany, pinkish, deep plum... what a blend! An unusual color - I can imagine this won't appeal to everyone. However, I'm not in that category. I like it. A fine drawing by The Professor himself. 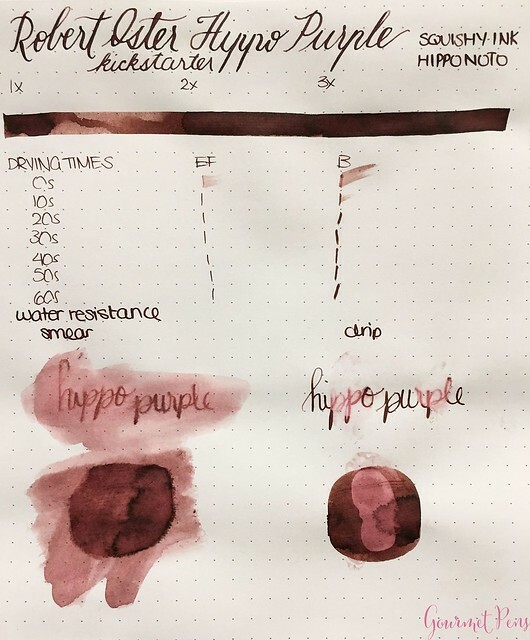 I was not expecting this color, even though hippo was in the name! I thought it would be a bright, vibrant purple! As it turns out, this color is pretty much what a hippo looks like. 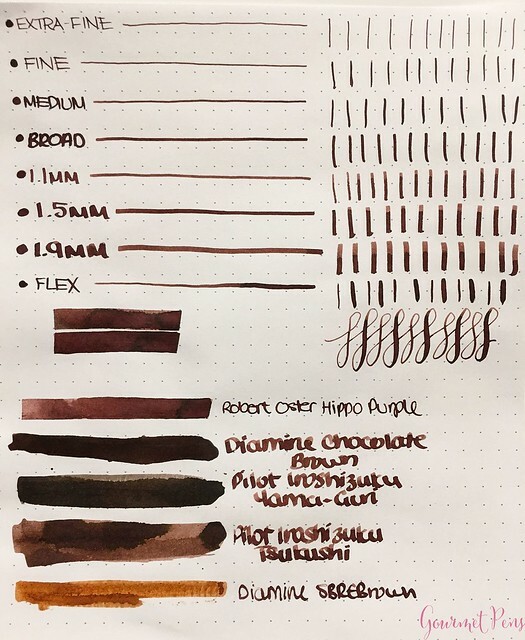 I'm impressed with how well Robert Oster captured the color of a hippo - sort of a brown/purple/pink, depending on the saturation. How neat. 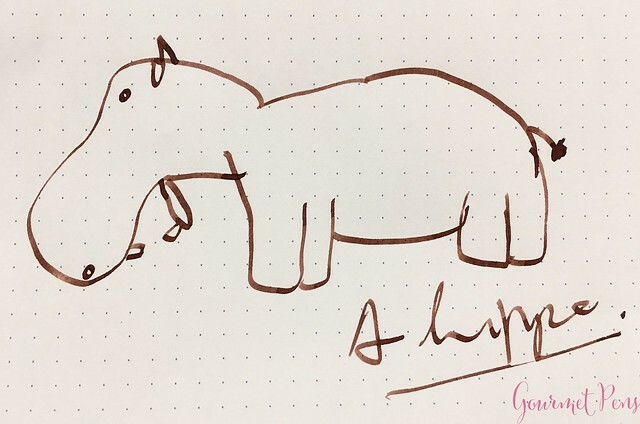 Google hippos and take a look! This color is unusual, unique, and I can't say I've seen many other colors like it, if any. 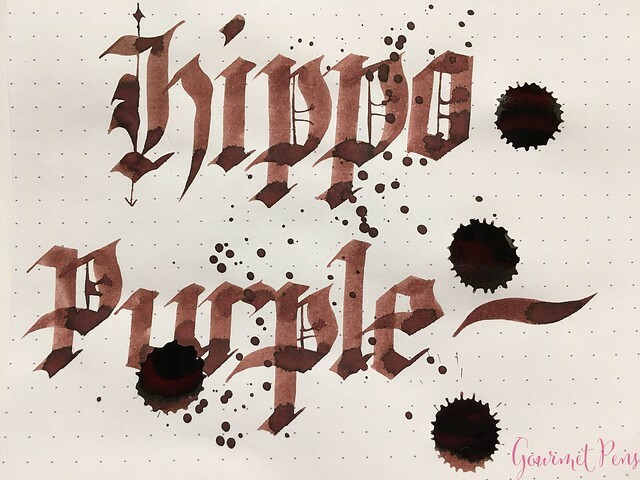 Leave it to Robert Oster to create the perfect hippo color! For a pretty decent price, you'll get a special ink and support a special project, and it's certainly a one-of-a-kind. 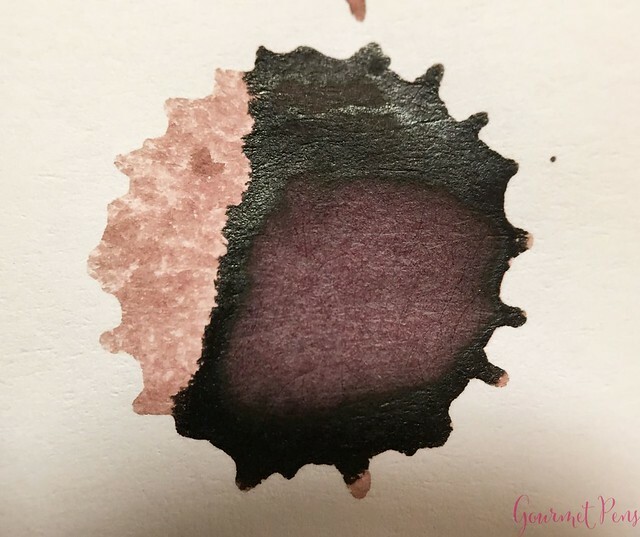 Perfect for ink collectors, those who prefer more subtle, muted colors, and anyone else who just looooves ink!